This interesting picture was posted on my Facebook feed a long time ago. I have always been meaning to post about it. I don’t know who posted it or who created it. I just thought it was so interesting because years ago I complained to my husband about how the tops of my tennis shoes hurt my feet. His solution was to take my shoes and lace the laces in a different way. He took both shoes and laced them in different ways. He told me to figure out which one didn’t hurt my foot and he would lace the other shoe that way. Well, I am embarrassed to admit that I left my shoes like that for a long time. Years, probably. I didn’t wear my tennis shoes that often so I would forget that they were laced like that. And one was so much more difficult than the other to put my foot in and take it out once it was tied well. In fact, that was one of the reasons I didn’t wear them that often because it was so difficult to get my foot in and out of and/or to tie it. It was years. 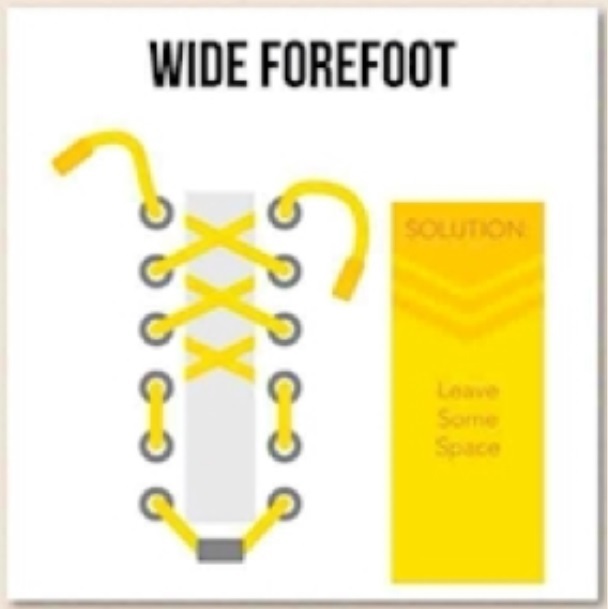 Then when I started to wear them more (because my boots “died”), I realized that it was really just ONE shoe that was annoying and painful so it finally occurred to me to fix the shoe lace. I just needed to make one shoe match the other. 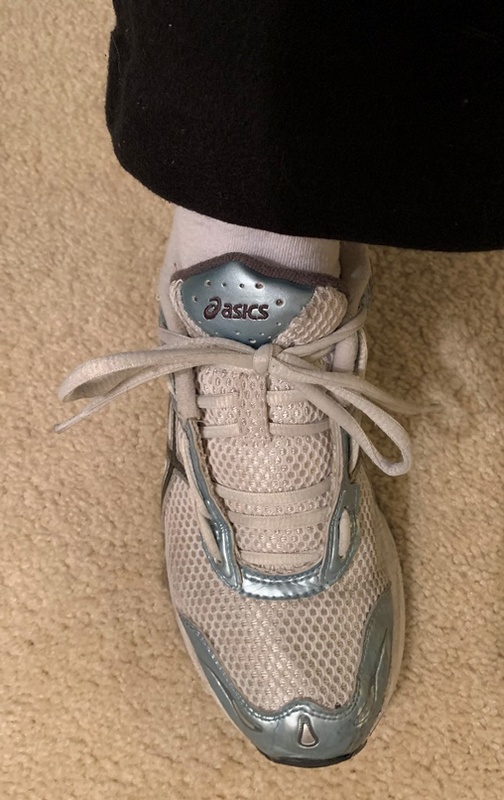 One of the ways my husband laced my shoe was so comfortable AND easy to tighten. The other way was not comfortable and tightening it was a pain in the rear. It wasn’t worth tying the shoe comfortably. And now, often, I don’t even tie my shoes. 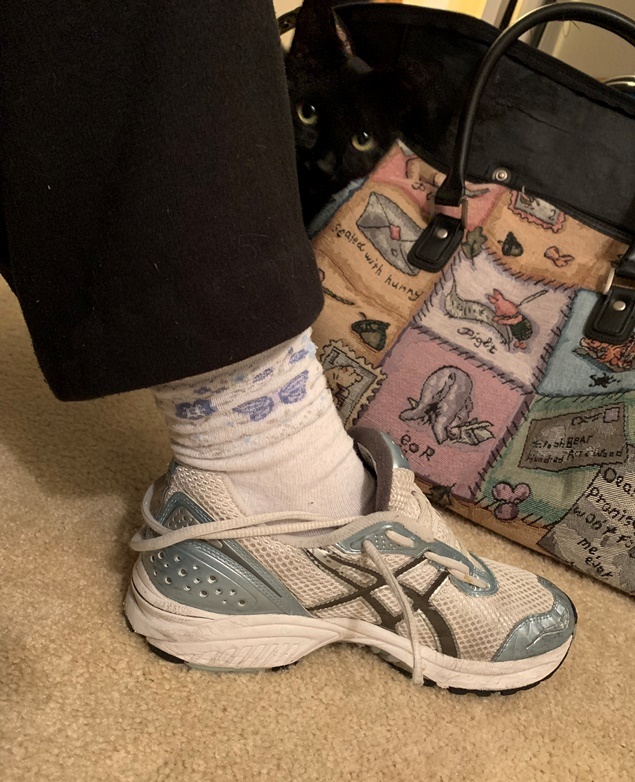 I teach Nia and yoga – both are done barefoot, so I am really just wearing my shoe from my house to my car, from my car to my class and back again. So I don’t normally bother with tying the shoes laces. When I need to run errands after class then I tie the shoe properly otherwise it flops around on my foot and that is not comfortable. But when I am just going to class I just loop the lace around my heel and that keeps it from dragging on the ground and being a “trip-threat”. The way my husband laced my shoe does not match any or these. Had he not successfully laced my shoe I might have gone for the “Heel Slipping” because that is usually what happens with the regular way of lacing a shoe. 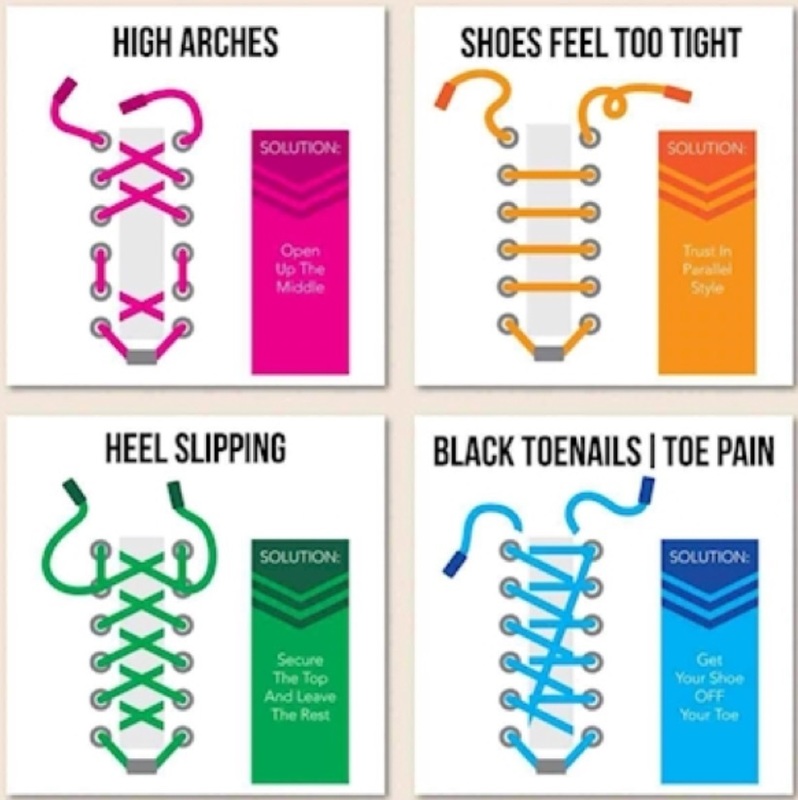 How do you tie your shoes? Does one of these examples apply to you?